Residential Services are a type of foster care placement for children whose needs cannot be met in a regular foster home setting. They are committed to improving the lives of children and families struggling with emotional and developmental challenges in the home, school, and community. The goal is to work with children and their parents so that families can be reunited, and the children can live successfully in the community upon discharge from foster care. 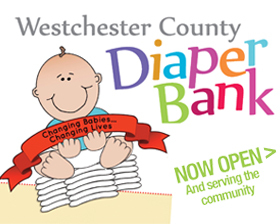 Westchester County DSS contracts with various voluntary child care agencies that are certified by New York State, including, but not limited to: Children’s Village, Family Services of Westchester, Abbott House, JCCA and Cardinal McCloskey’s. Westchester County's Secure Detention Services are provided through a competitive contract with The Children’s Village for provision of secure detention and related medical, clinical, educational, food, transportation, cleaning, and security systems services to Juvenile Delinquents (JD) and Juvenile Offenders (JO) youth placed by the police, probation or the Family Court. The program is also an accredited GED testing station. The phone number is (914) 231-1103. Westchester County's Non-Secure Detention (NSD) services are provided through a competitive contract with The Children's Village Family Court Assistance Program (FCAP) to youth placed by the police, probation or the Family Court pending disposition of Persons in Need of Supervision (PINS) or JD matter. While in placement, the youth receive case work services, educational services, health services and recreational services. They also provide evaluations as ordered by the Family Court and aftercare services for eligible youth and their families. The phone number is (914) 693-0600, ext. 1699. For additional information regarding Residential Services, please call your local social service district office or call the program office at (914) 995-2232.